Sunday, Oct. 7, was rainy and cold in St. Paul, Minn. Winter was approaching. The streets on the campus of St. Thomas University were still wet at 7 p.m. And mixed feelings surrounded the World Press Institute (WPI) fellows, Class of 2018. The desire to return home to our families and jobs was intertwined with the reluctance to abandon the group of nine journalists from all over the world who had lived and traveled together for nearly nine weeks. Many of them I now call friends. A bittersweet taste hung among us as we sat in a basement office at the University of St. Thomas to be a part of the TommieMedia staff meeting. 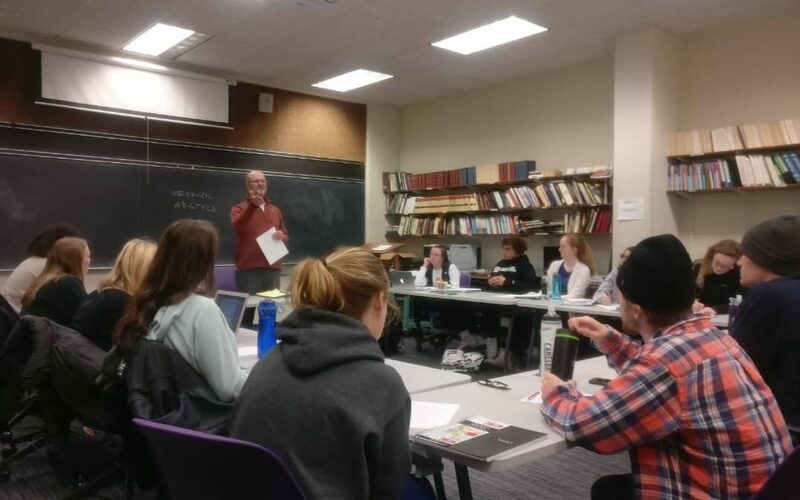 TommieMedia is an organization aiming to deliver campus, local and world news to the university community. It is 100 percent digital; its reporters work with streaming video, slide shows, television studio interviews and text stories. 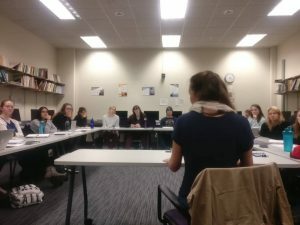 After visiting newsrooms like the New York Times and the Washington Post and TV news channels like CNN and Fox News, we neared the end of our program with this visit to Tommie Media, where all its employees are students from the University of St. Thomas: editors/reporters, most of them young journalists. This was not a coincidence. It was time to pass them some notes. We tried to answer these and other questions. We tried. Each of their words showed enthusiasm and energy. At noon on Monday, in the same university classroom where we attended all our lessons during the first three weeks of the program, a class of 14 students waited for us. Three of the fellows (Alexey from Russia, Rafael from Brazil, and I, from Argentina), tried to tell them our adventure of meeting all these journalists in newsrooms around the country (cities in seven states plus the District of Columbia). The majority of the students were 18 years old. Many had grown up close to the university, but there were also students from Hawaii, South Dakota and Nebraska. In a round of presentations they told us that they were interested in broadcasting, international journalism, sports, marketing, photojournalism and psychology, among other subjects. We tried to inspire them. Again, we tried. We explained to them that journalists in the United States have the enormous advantage of being able to work in a good environment, thanks to the First Amendment, constitutional rights and strong democratic institutions. We also pointed out they live in a society that supports journalism and understands the importance of a free press. And then, we talked about the donations that companies, philanthropists and readers make to newspapers with nonprofit models, something that doesn’t exist in most of our countries. “You are privileged,” Alexey told the students. We talked about all the bad things of our profession: bad pay, pressure, many hours of work per day, even persecution or jail. I looked around and saw their faces. So many questions in their heads, so much energy to become journalists. “This is the best job in the world,” I told them, as Gabriel García Márquez had described it decades ago. Journalism is bittersweet. And I think that they felt that same taste in their mouths, like me.